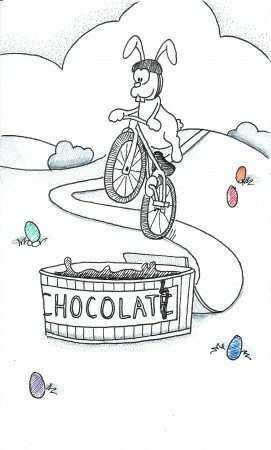 Little known fact: rabbits are not allergic to chocolate. I thought that this one would be fun for toph to try and find the easter eggs as well as getting a laugh out of the bunny. He started telling me all about this doodle as soon as I saw him this morning. I’d say that’s a hit!